This letter provides background information for this less well-known Exoduster settlement. 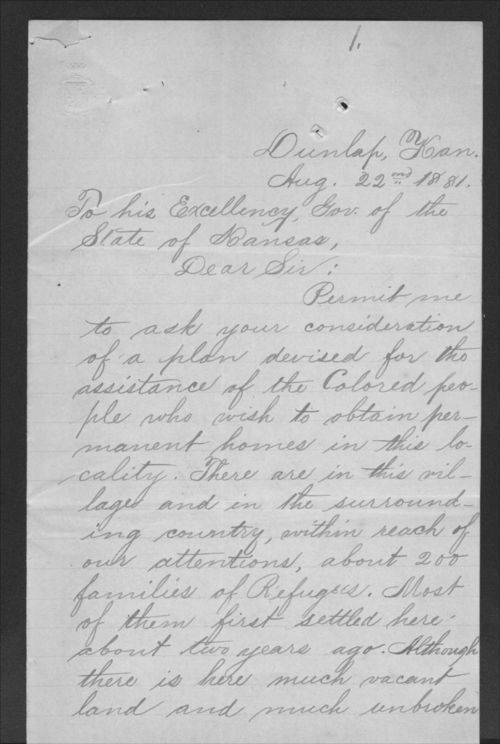 It works in tandem with documents relating to Singleton's colonies, the specific colony at Dunlap, the Singleton Colony certificate of incorporation, and the various aid organizations in Kansas. Another source selected for this standard that pertains to the Dunlap colony is the photograph of the Dunlap school building with students standing outside.